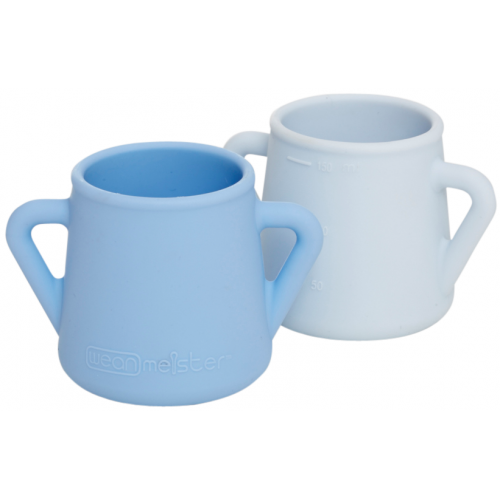 Wean Meister Sippy Skillz training cups are designed with your baby in mind. Dentists recommend you teach your baby to drink from an open baby cup to prevent tooth decay. Wean Meister exceeds safety guidelines and uses high grade LFGB silicone. This is because your baby’s safety is paramount. You can tell ours is LFGB grade by squeezing the silicone – you will not see a white line. The white line is an indication of the fillers used in other cheaper grades. Extremely durable will stand the test of time!